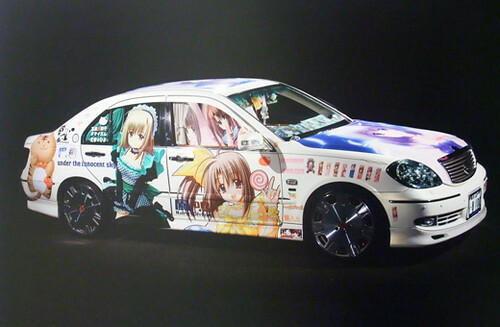 Itasha is the name of decorated car by bishojo anime or manga characters. Interesting but too brave to ride on the street… ita means painful, sha means car. 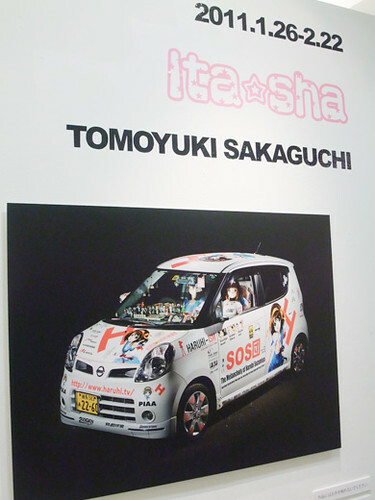 These photos are at Laforet Harajuku, artwork by Tomoyuki Sakaguchi – great CG fantasy itasha!